12X12 Low Gantry Set - Zen Toolworks, Inc. Categories: Accessories, CNC Accessories. Tags: 12x12, aluminum, gantry. 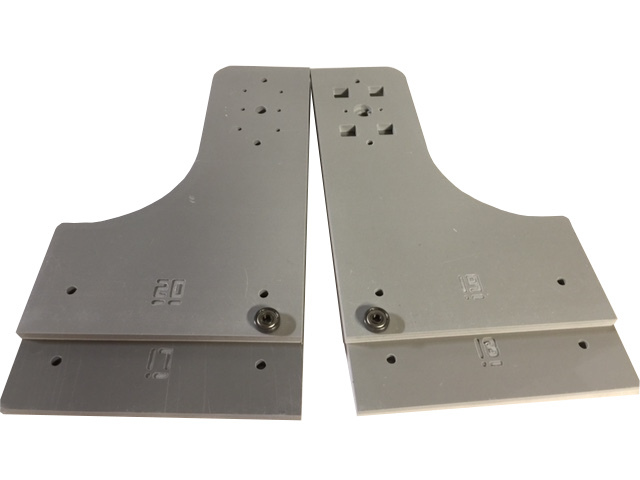 If you already have Zen Toolworks 12×12 3D Kit and want to lower the gantry for regular milling and engraving, here is the set we have prepared for you to swap the gantry to lower the Z axis. It includes the replacement parts of 17, 18, 19 and 20 & 2 bearings. So you can still easily change back to 3D version when you need it. The is for Zen Toolworks CNC 12×12 Kits.